Are we keeping children “too” safe? How often do we hear worried parents shout “Be careful!” or “You’ll hurt yourself!” to their children when they’re out and about? In their duty of care, childcare practitioners can feel similarly protective of children. They may go so far as to believe that they must ensure every play experience is 100% safe. However, children are natural risk-seekers and risk-takers. Without this curiosity and exploring their boundaries, children would never walk, climb stairs or learn how to ride a bike. Practitioners must therefore strike a balance between hands-off supervision of children in a controlled environment and keeping them safe. Whilst it’s true that children have a growing awareness of risk, they don’t always appreciate the range of hazards in their play environment. The role of caregivers is to allow children the freedom to play and explore whilst supporting them to manage any potential risks to their safety. But this is easier said than done! Where practitioners feel unsupported by senior members of staff or fearful of repercussions from parents, they’re less likely to make provision for risky play. The danger here is that, if children aren’t able to learn about risk in a controlled environment, they may seek to play in an uncontrolled environment where the risks to their safety are that much greater. Great heights – climbing trees or scaling structures which seem high for the child, giving them a sense of achievement at having reached the top. Rapid speeds – playing on bikes, sledges, skis, skates, swings or slides which allow children to feel the thrill of speed. Dangerous tools – being trusted to use “adult” tools or machinery like hammers, mallets and saws, where there’s a risk of harming oneself or others. Dangerous elements – children are often warned about the dangerous nature of fire and deep water and therefore these elements are naturally a source of great interest to them. Rough and tumble – children love to play fight, tumble and chase each other, seeing who has the physical strength and endurance to come out on top. Getting lost – younger children enjoy playing “hide and seek” where they’re temporarily separated from their friends. As children get older, they enjoy experiencing the potential risk of getting lost in an unfamiliar place. Most settings will already have a risk assessment policy which helps staff properly assess the trade-off between the risk and benefits of doing certain activities. This policy should be clear and well understood by all staff members. Holistically, it’s important that settings communicate to parents about the importance of risky play. For example, how it helps to develop children’s gross motor skills (such as jumping and climbing) as well as improving their confidence and self-esteem. 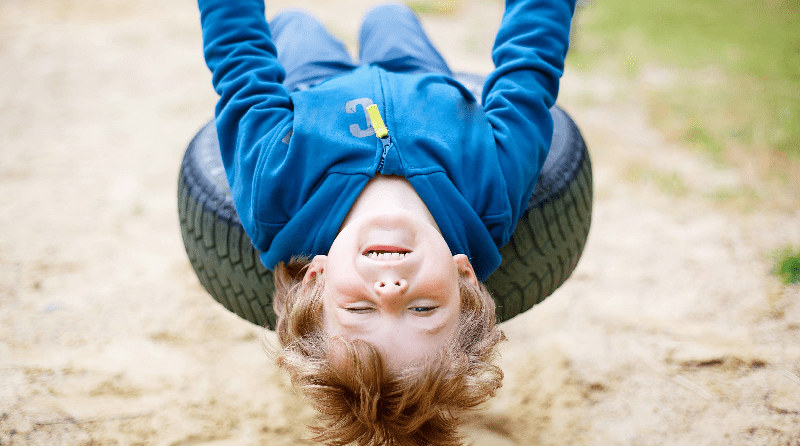 Any potential anxiety from parents can be discussed and eased by referring back to the setting’s risky play policy. Last year, the head of Ofsted, Amanda Spielman, voiced her concerns about the creation of “overly risk-free environments”. She said childcare providers must not shy away from taking youngsters on trips to the park or engaging in outdoor activities due to health and safety fears. At the Nursery World business summit, Spielman added that, while risk should be taken seriously and children supervised properly, children’s “natural instincts to discover and explore” must not be stifled. Accidents can and do happen, and it’s true that practitioners should be able to foresee and manage these adequately – to a certain degree. However, children cannot be wrapped in cotton wool, as important lessons are learnt by children when they fall over or accidentally slip. Additionally, how practitioners react to accidents will directly impact on children’s interpretation and management of risk. Practitioners can talk to children about how the accident happened, and discuss ways to prevent it happening again, rather than imposing an outright ban on a certain activity. It’s important to remember that risky play is an invaluable part of childhood. Rather than trying to provide a truly “safe” and risk-free environment, children benefit from having plenty of opportunities to safely explore boundaries, test limits and learn about managing risk. My friend has a 9 year old that has challenging behavior and does not understand danger. She will squeeze herself into very tight spots, through railings and get stuck. I am ok with children taking risks, but she will climb onto an unsafe surface eg roof of a shed. She will try and use equipment in a way that could endanger herself. She refused to use a seat belt until she watched a video showing the dangers.